The contract in respect of the products supplied by us to you comes into existence when your order has been accepted by us. For the avoidance of doubt, receipt of an order via our web site does not constitute acceptance of an order. All goods are subject to availability. In the event of none availability of any items we reserve the right to refund the product cost back to the customer. 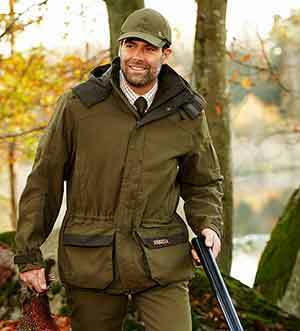 We try our very best to keep our listings of products up to date but it’s always best to call us on 01524 793007 or e-mail sales@foxholescountrypursuits.com to confirm availability before travelling to the store to purchase a product listed online. We reserve the right to request further documentation or identification where appropriate to confirm an order and combat the ever increasing rise in fraudulent online activity. All items will be delivered by first class post and this is free. There is a minimum order value of £75, orders under this value will be subject to postage charges or £5. Items ordered after 5pm on Friday will not be processed for delivery until the next working day (Monday) All our items carry a 5 working day delivery time Some of our deliveries may require a signature so please make sure that someone is available to sign for the goods. If you provide us with a wrong delivery address and your goods are signed for by another party, Malmo Guns and Foxholes Country Pursuits cannot be held responsible for any loss you incur as a result. If for any reason you are dissatisfied with your purchase, you may return it for a refund/replacement within 14 days of receipt. Returns costs are at your expense. We recommend that you send all returns fully insured as we cannot accept responsibility for goods not received. If you wish to swap an item of an alternative size, colour or style or would like a different item instead then a postage charge will be applied. Refunds will be made via the method you used to pay for your goods at the time of placing your order. Information and images provided on our site are correct to the best of our knowledge, but are intended as a guide only. We reserve the right to alter speci cations without prior notice. 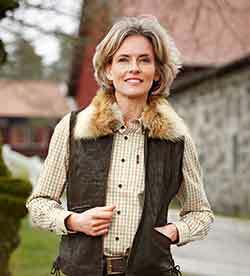 Ordering from Foxholes Country Pursuits is easy and so straightforward. Simply call 01254 793007. We can take secure payment via credit or debit card over the phone for a quick and easy shopping experience. We regret we can not accept payment via American Express. VAT All our prices include VAT at the current UK rate of 20% where applicable. Children’s clothing and footwear do not include VAT. Foxholes Country Pursuits (“We”) are committed to protecting and respecting your privacy. For the purpose of the Data Protection Act 1998 (the Act), the data controller is Foxholes Country Pursuits. • Information that you provide when ordering products online at: shop.malmogunsclothing.co.uk (“our site”) or over the phone with our customer services team. This includes, without limitation, the information provided when you subscribe to any of our services and/or posting material on our site or when you place your order over the phone. We may also ask you for information when you enter a competition or promotion sponsored by us or when you report a problem with our site and/or your order. • If you contact us, we may keep a record of that correspondence and record conversations for training and/or monitoring purposes. • Details of transactions you carry out through our site and/or over the phone and of the fulfilment of your orders. • Details of your visits to our site and the calls that you make to us including, but not limited to, track data, location data, weblogs and other communication data, whether this is required for our own billing purposes or otherwise and the resources that you access. • We will ask for your email address and/or mobile telephone number so that we can send you an email confirming your order and so that we may send you additional marketing information through emails and SMS. You can opt out of receiving such information when setting up your account. • We will also ask for your telephone number/mobile telephone number so that we and/or our nominated courier can call you if there’s a problem (i.e. if a courier has a problem delivering). Where we have given you (or where you have chosen) a password which enables you to access certain parts of our site, you are responsible for keeping this password con dential. We ask you not to share a password with anyone. At Foxholes Country Pursuits we are committed to providing excellent customer service. • Make your shopping experience with us as quick and as simple as possible. • Inform you of Foxholes Coutry Pursuits offers that may be of interest to you, where you have consented to be contacted for such purposes. • Help to protect you from fraud (For instance we may carry out identity veri cation, credit or anti-fraud checks against your name using third party databases (which may involve disclosure to registered credit reference or fraud prevention agencies who may retain and use your personal information), carry out analysis and to help us manage our business, statutory returns and legal and regulatory compliance). We may disclose your personal information to any member of our group, which means our subsidiaries, our ultimate holding company and its subsidiaries, as de ned in section 1159 of the UK Companies Act 2006. If Malmo Guns or substantially all of its assets are acquired by a third party, in which case personal data held by it about its customers will be one of the transferred assets. To registered credit reference or fraud prevention agencies for the reasons already set out in this policy. To our nominated third party carriers to enable them to deliver your order and to contact you if there is a problem with delivery (i.e. telephone, name and address only).